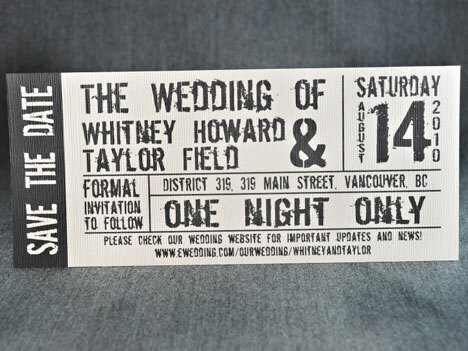 Creative & fun, invitations like these will stand-out and set the mood for your wedding, long before the actual event. We 've collected some great examples from three different Canadian specialists, enough to get you in the mood and give you some first idea of the possibilities. 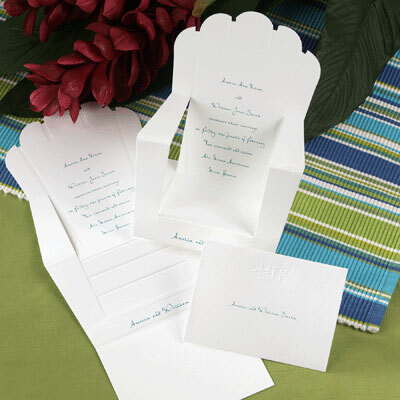 Lots more where these came from: our invitation supplier listings! 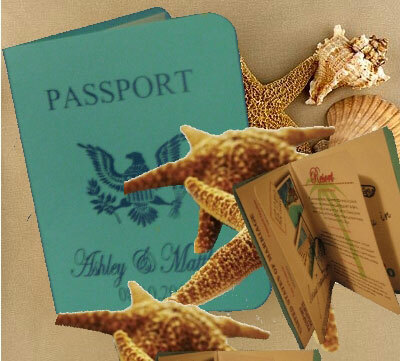 I find that with destination weddings it is best to send out a Save the Date as soon as possible so your wedding guests can book their trip, time off work, and get ready for their vacation and your wedding! 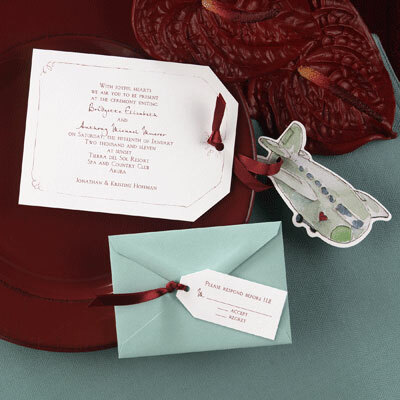 Then send out your invitation as a pocket folder with information on the destination, booking information, the RSVP and of course your invitation! Such stationary is always custom, so if you like one of the invitations I have previously created we can always make it your own by changing the colour of the paper or even by adding some crystals. In general, costs range from $6.25 to $15.75 a set (but there are volume discounts as well, depending on the ortder). 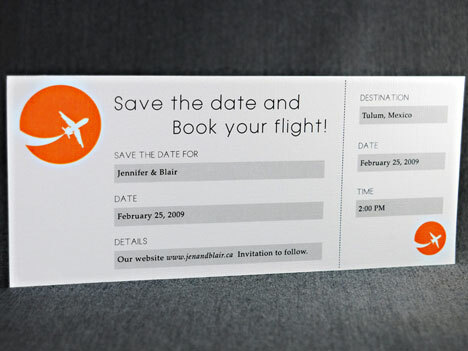 The idea is to create unique and distinctly different theme invitations. They can all be fully customized. Options are unlimited. Several premade designs are on-site to inspire and can be used as-is or as a helpful starting point; creating something from scratch can actually be quite overwhelming. 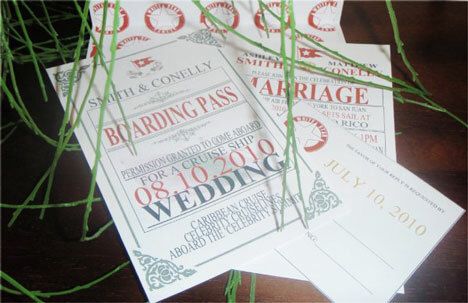 Once we have the information needed, a large round up of mock-ups are given until the couple are completely satisfied, before printing begins. Turn around time for somethig like this can be as little as a few days, from purchase to shipping time, depending on how quickly the design is approved and how many customizations need to be made. Prices range from $1.69-$3.99 each. 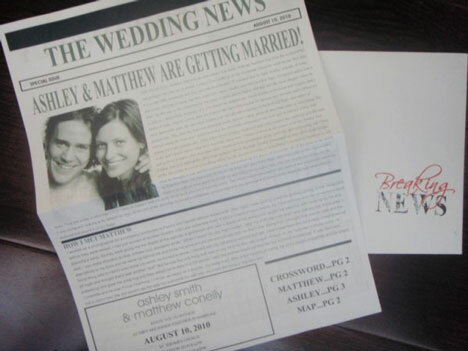 Fold-out concepts from Finally The Bride! 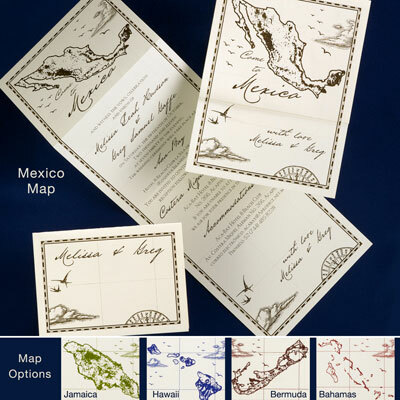 OK, so these are not exactly destination wedding invitation ideas, but we found them on those same websites, while researching and we just couldn't not show them here. 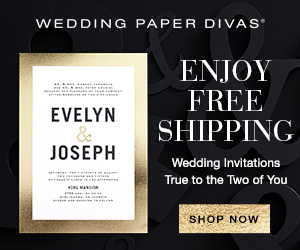 Unique, personal, creative... fabulous examples of how you can add personality and a them to your entire wedding - starting at the first point-of-contact: your wedding invitation!